Given the daunting energy challenges currently bedeviling Nigeria, with demand for electrical power exceeding availability, alternative energy sources (preferentially renewable) are vigorously considered. This is the first study to examine geothermal energy prospects in southeastern Nigeria with the ultimate aim of locating and mapping regions of shallow Curie point depths (CPDs), crustal thickness, and geologic structures supportive of a geothermal system. We estimated CPD using the spectral analysis technique on magnetic field anomalies. Gravity anomalies were subjected to a series of procedures to assess geological structures. Result reveals deeper CPDs within central and southern regions of Okposi, Afikpo and Biase towns in an approximate range of 18.4 to 19.3 km. Shallow CPDs (9.8–17.4 km) have also been obtained within Obubra and Abakaliki regions. Estimated crustal thickness (Moho) ranges between 26.5 and 35.8 km. Part of the region with shallow CPD correlates with regions of shallow Moho depths, particularly in Abakaliki, and deeper Moho depths coincide with deeper CPD estimates at the Afikpo location. The estimated geothermal gradient and heat flow values range between 29.0 and 45.0 ºC and 52.2–101.5 mW/m2, respectively, and fall within values evaluated from deep wells drilled for oil exploration within the adjoining Anambra Basin region. This study recommends the regions with shallow depths for possible geothermal power plant location. Gravity data evaluations also reveal significant subsurface intrusions within Ugbodo, Obubra and Abakaliki locations. Overall, this study is a step forward toward a better evaluation of the geothermal energy resources potential of southeastern Nigeria. We appreciate all the reviewers, including editors, for their constructive comments which eventually contributed to improving our manuscript. Eze, C. L., Sunday, V. N., Ugwu, S. A, Uko, E. D.& Ngah, S. A. (2011). Mechanical model for Nigerian intraplate earth tremors., Earthzine. http://www.earthzine.org/2011/05/17/mechanical-model-for-nigerian-intraplate-earth-tremors. Manzella, A. (2009). 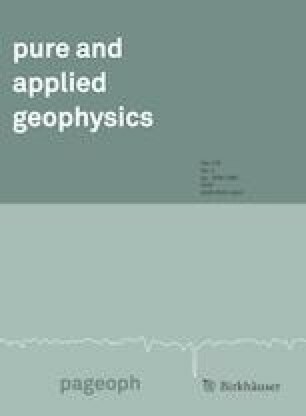 Geophysical methods in geothermal exploration. Italian National Research Council. http://hendragrandis.files.wordpress.com/2009/04/a_manzella.pdf.